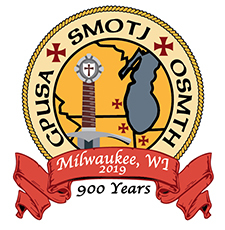 T he Priory of St. John the Baptist looks forward to sharing the city of Milwaukee, Wisconsin with you. Besides the many activities, meetings, social gatherings and banquets planned for attendees at the Milwaukee 2019 event, we hope you will also explore our diverse city. Ticket Prices: Museum – H.O.G. Members Free; Public $14 - $20;	Classic Factory Tour Free; Steel Toe Tour $38. Distance from Hotel: Museum 1.3 miles; Factory 21 miles. Milwaukee is not only the birthplace of Harley-Davidson, but also its international headquarters and the site of the world’s only Harley-Davidson Museum. The Museum chronicles the history of this legendary American brand from the first motorcycle produced in 1903 through a priceless display of 450 bikes and also features exhibits on engines, racing, customized bikes and Harley’s role in World War II and pop culture. The Pilgrim Road Powertrain Operations facility in Menomonee Falls, Wisconsin is the home of the Big Twin, “Milwaukee-Eight” and “Sportster” powertrains and offers tours Monday through Friday. Take a two-hour “Steel Toe” tour for a chance to experience Harley-Davidson history and get up-close and personal with the assembly line, powder coat process, cold testing and steel and aluminum machining. Or take the 30-minute Classic Factory Tour, which offers a video and insight into machining areas contributing to the assembly of H-D engines and transmissions. Ticket Prices: $14.50 - $15.50. Distance from Hotel: 8 miles. The Milwaukee County Zoo is one of the country’s finest zoological attractions. The Zoo educates, entertains and inspires. It houses over 2,000 mammals, birds, fish, amphibians and reptiles in specialized natural habitats spanning 200 wooded acres. The Zoological Society sponsors a variety of educational shows about wildlife such as birds of prey, bats, lions and harbor seals. Ticket Prices: No Charge. Distance from Hotel: 1.1 miles. 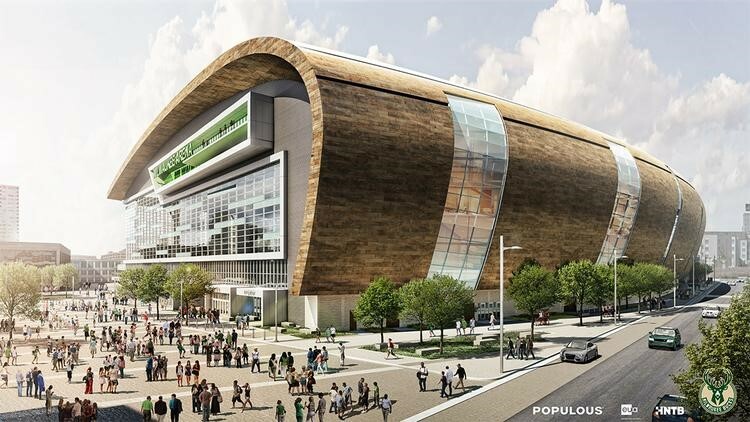 The Fiserv Forum is much more than just the new home for the NBA Milwaukee Bucks’ basketball team. Designed to reflect the heritage, history and personality of Milwaukee while actively projecting progress, accessibility and a renewed sense of community, the state of the art, 714,000 square foot arena is the hub of entertainment in Wisconsin and the engine that drives growth in downtown Milwaukee. Recently named the home of the 2020 Democratic National Convention, the venue hosts up to 200 events a year, including the Milwaukee Bucks, major concerts, family shows, Marquette men’s basketball, college basketball, hockey, boxing, MMA and special sports and entertainment events. Ticket Prices: Museum/PlanetariumDome Theater $20 - $24; Museum/Planetarium $14 - $18; Dome Theater Only $7 - $8. Distance from Hotel: .9 miles. Opened in 1884, the Milwaukee Public Museum offers a glimpse into history like you’ve never seen before. Featuring more than 4.5 million objects and a variety of exciting exhibits such as the Costa Rican rainforest, the world’s largest dinosaur skull, Egyptian mummies and a year-round live butterfly garden, this is considered one of the best natural history museums in the U.S.
With crystal clear images on a six-story-tall screen and wraparound digital surround sound, watching a show in the Dome Theater transports you into the center of the action – be it climbing the daunting heights of Everest, cruising the skies on the back of a pterosaur, or experiencing the weightlessness of space. The Milwaukee Public Museum’s Planetarium is Wisconsin’s largest and most modern and is the first Planetarium in the world to debut a Digistar 6 computer projection system that fills the entire Dome Theater with stunning 3D animations, creating an immersive astronomy experience. You’ll see breathtaking vistas of the night sky, planets, the Milky Way, and distant wonders of the universe. Priory of the Holy Isle.